Through Instagram, people are just a few hashtags away from distant destinations or rich lifestyles. People also use the social media tool to keep in touch with their friends by liking and commenting on their latest pics. Apart from that, Instagram has become the 'unicorn platform' for brand marketers in the sense that each one trying to be as different as possible. Visually attractive, Instagram's appeal and artistic features (such as enhancing photos, creating videos, ...) has turned it into a creative platform with more than 800 million active users updating their accounts daily (sometimes hourly). According to Statista, "Instagram is most popular with teens and young Millennials – this holds true in the United States where more than half of Instagram’s user base is between 18 and 29 years old. Globally speaking, 41 percent of users are 24 years of age or younger." Instragram Stories has opened the door to a new range of possibilities for both users and marketers, making it a great space to promote events. The reasons are obvious: first, Instagram Stories gives you a powerful content platform for connecting with your attendees. Second, it offers you the possibility to explore the best practices to promote your event. Finally, it gives you access to the influencers’ market, which increases your chances to be seen. Considering all these aspects, how can you use Instagram Stories to promote your event? If you think Instagram is only good for sharing what you ate for breakfast, think again!Instagram Stories is your perfect tool to build an audience around different narratives, contests, surveys, and giveaways. The same with Instagram photos - make a schedule for when you post stories and design a powerful communication strategy. Engage people through Instagram Stories by getting them to vote on something, asking questions, or offering something for free. By establishing an Instagram Stories routine, your followers will get used to you and look forward to your posts. From there, you can continue by promoting your event. You won’t get people too excited for your event if all you do is share an event poster and ask your followers to check the link in your description and register. You must incorporate storytelling. You could build a narrative around the pain point your event can solve. For example, if you’re planning a copywriting conference, you can start by saying that you were searching for a product, yet you were always bumping into bad copy, and even share a few examples, along with some of your comments. Then, upload a quick video of you talking about how valuable quality copywriting is for businesses, and then invite people to your event. As you probably picked up on from the previous tip, to build an engaging narrative, you should use multiple content formats: photos, surveys, videos, or quotes. However, alternating between images and videos is important. It gives your Instagram Story a different dynamic and hooks your potential attendees’ attention. If you want to connect better with your target group, don’t be shy about showing your face. 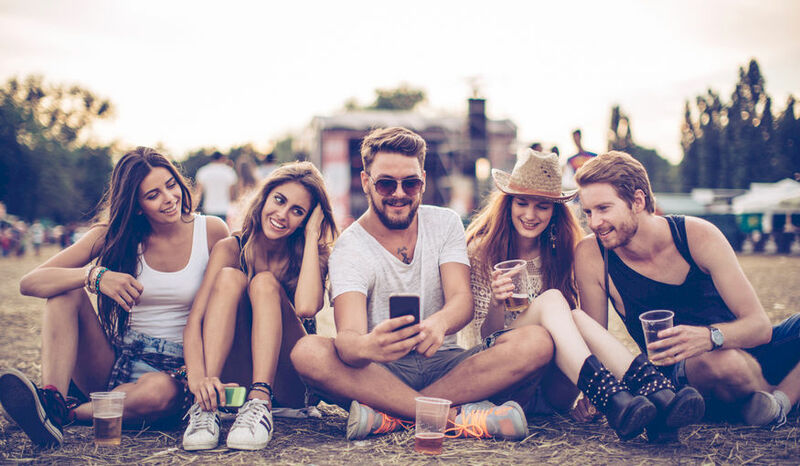 Selfie videos are a great way to grab the attention of your potential attendees and build a closer bond with them. You can use these motion selfies to make a point, ask people to do something (like swipe up and check the event registration link), or encourage them to share their opinion about something. You can mention that you’ll display and comment on the most interesting feedback. So how exactly are these selfie videos good for promoting your event? Well, because they have the potential to increase engagement and make people pay closer attention to what you have to say. Remember, though, that your videos can’t be more than 15 seconds. If you want to post longer messages, you’ll have to cut your video into parts. The good thing about Instagram Stories is that it lets you run quick surveys and take your audience’s pulse. For example, if you have a dilemma regarding the planning process (such as the date or venue), you can always ask your target group for their opinion about the event. You can use the voting option to warm up the public and prepare them for the event announcement. Again, this is a nice way to interact with people and keep them intrigued about your upcoming posts. Instagram is here to stay, and that’s a good thing, because it’s more than just a platform to post photos of your smoothies—it provides a wide range of event marketing possibilities. In other words, if you aren’t on Instagram or Instagram Stories yet, you better start learning how to use it.